When I started blogging back in 2011 it was mostly to keep somewhat of a log of new colors and brands of nail polishes that I was trying. It was a whole new, exciting world to me. Actual nail care and health didn't really cross my mind until a couple of months later when I realized "Hey! I'm not being as rough on my nails and they're growing a little longer!" The more bottles I bought and photos I took, the more serious I became about attempting to treat my nails a little bit nicer. 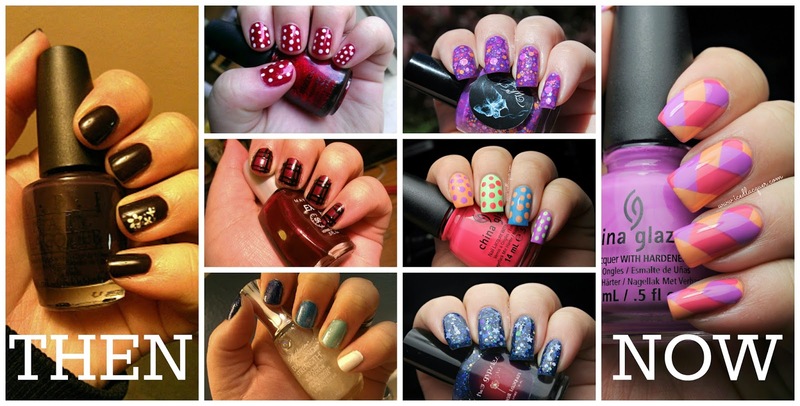 You can see from the collage above that my nails have come a long way since my first couple of posts. I've tried to put together a list of some of the products I use as well as some tips about general maintenance, which I think have definitely contributed to the health (and length) of my nails. Before I begin, I want to mention that I am not a professional and have zero training. The following tips are from my own experience and my personal opinion. What works for me might not work for you! Cuticle Cream/Sticks: Keeping your cuticles moisturized and hydrated not only means they look nicer, but they're easier to take care of. Keeping cuticles soft means they're easier to push back and also less prone to cracking or peeling. 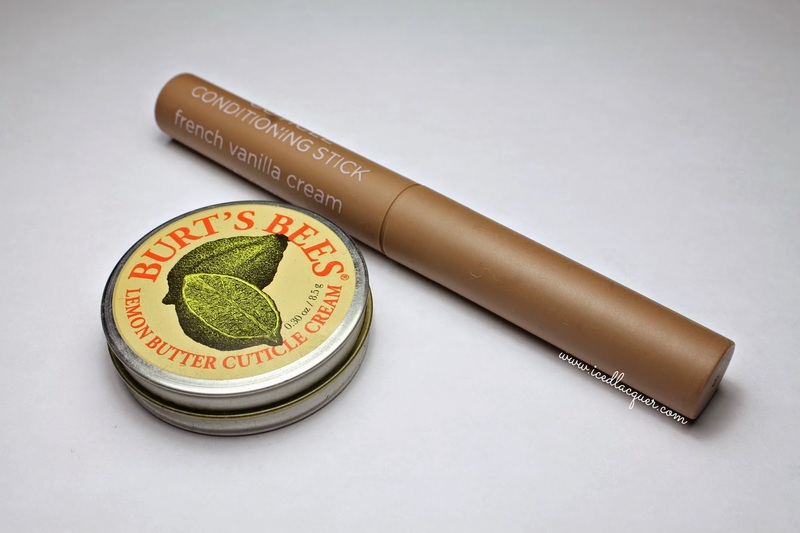 Two of my favorites are Burt's Bees Lemon Butter Cuticle Cream and All Season Naturals French Vanilla Cream Cuticle Conditioning Stick. Another tool I like to use with cuticle cream is... a tooth brush! It might sound crazy, but I've found that the small bristles can really help to massage cuticle cream into all the little cracks. Cuticle Oil: Cuticle oil could potentially be used instead of or in addition to cuticle cream, but I like to use them at different times. Creams are usually less greasy and I find they're easier to use during the day. I like to use oils before bed or when my nails are feeling particularly parched. 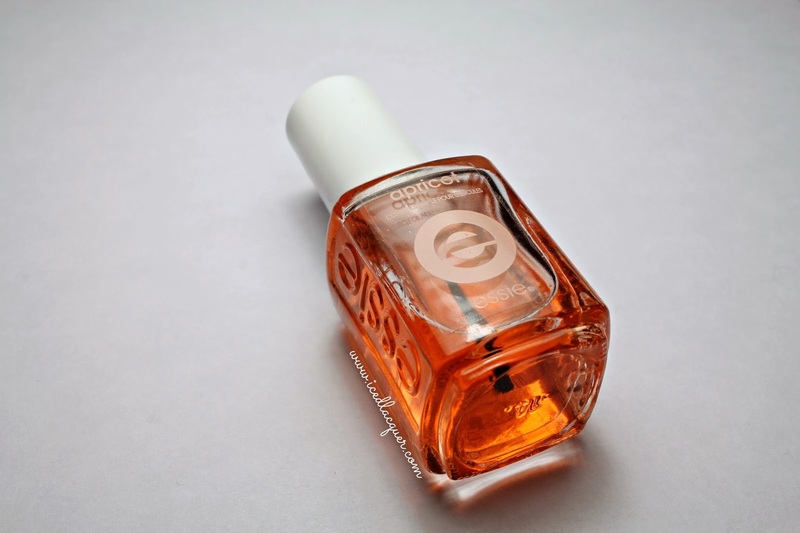 My favorite is Essie's Apricot Cuticle oil, but there are many fantastic options out there especially from indie brands. 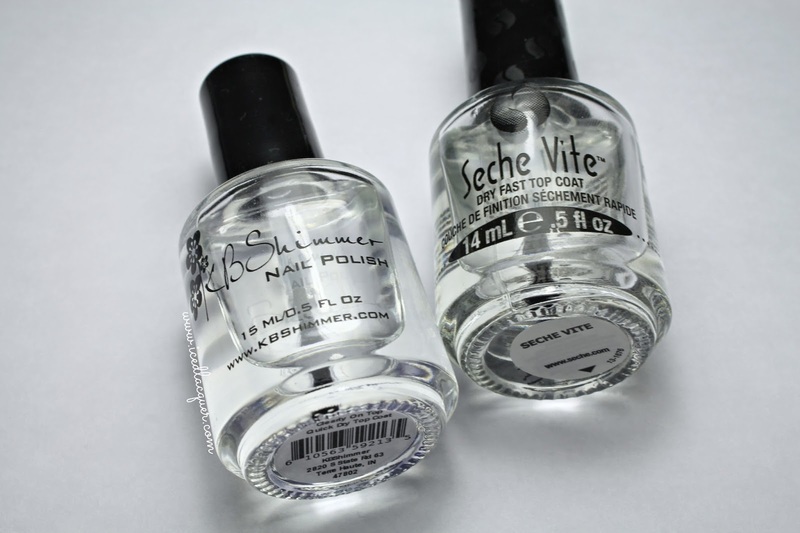 Base Coat: In addition to keeping your cuticles healthy you obviously want to keep your nail beds healthy as well. Before I started this blog I thought that base and top coats weren't really necessary or were only used at salons. Wrong! A good base coat not only can help strengthen your nails, but protects from potential staining. I have used OPI Nail Envy for at least two years now and am certain it has helped with the strength and length of my nails. The other great thing about base coats is there are lots of formulas for whatever specific issues you might be facing with your nails, such as peeling, dryness, or sensitivity. Peel-off Base Coats: Similar to a treatment base coats, easy removal base coats can also help with the health of your nails. It's pretty well know that thick glitter-based polish can be an absolute pain to remove and require subjecting your nails (and cuticles) to scrubbing and/or soaking in acetone. Instead I recommend trying a peel-off base coat for easy removal without the damage. The OPI bottle is simply an empty polish bottle that I filled with Elmer's Glue. A lot of people also swear by Yellow Stopper as a peel-off base coat, however I find it stays on much longer than glue. Top Coat: I suppose this doesn't directly contribute to nail health, but a great top coat can definitely extend the wear of your manicure, which for me means less chipping and peeling. Specifically, I use a quick drying top coat which means I can spend less time waiting for my paint job to dry. My two favorites (and I've tried a LOT) are KBShimmer Clearly On Top and Seche Vite. Remover Pot: This one is probably more of a personal preference, but I thought I'd throw it in. Instead of using a bottle of remover and cotton pads/balls to remove my polish I use a remover pot. Inside you'll find a big remover-soaked-sponge with several holes in it for your fingers. I find that this method feels less wasteful and works much quicker than most alternatives I've tried. It even cuts through glitter faster than a cotton pad can. I guess my idea is the quicker you can take the polish off means the less time your nail is exposed to the remover. This one is from Walgreens, but you can find these at most drugstores. 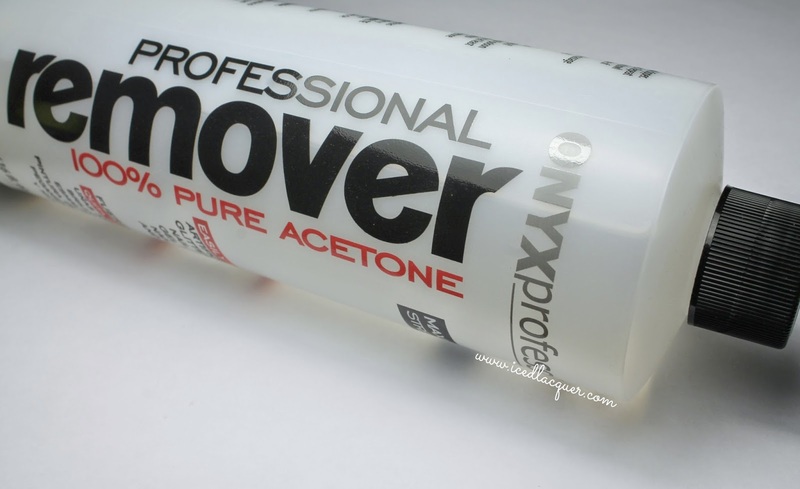 Acetone: I like to save the powerful stuff for small uses, such as cleaning up around my cuticles and nail beds. Although it can be a bit drying, acetone removes stray polish quickly and cleanly. Again, if it means I get to spend less time scrubbing at my skin and cuticles, that makes me feel like I'm doing less damage. Clean-up Brush: To go along with the acetone, I use a tiny brush to clean up any polish which might have accidentally gotten onto my skin. This one isn't so much about nail health, but making sure your nails look nice. If you're going to spend time making your nails look beautiful you should also take a minute or two to clean up the edges and make sure everything looks neat and tidy! My current favorite brush for clean up is this E.l.f. 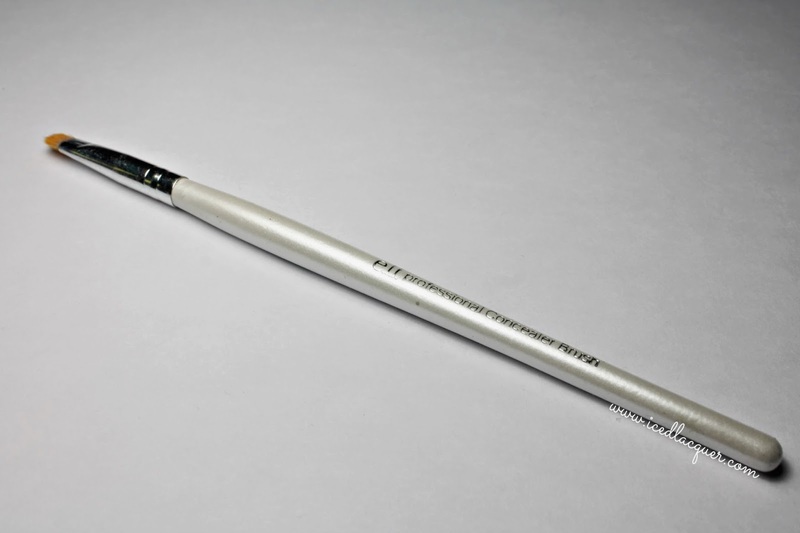 Concealer Brush, which is only $1! 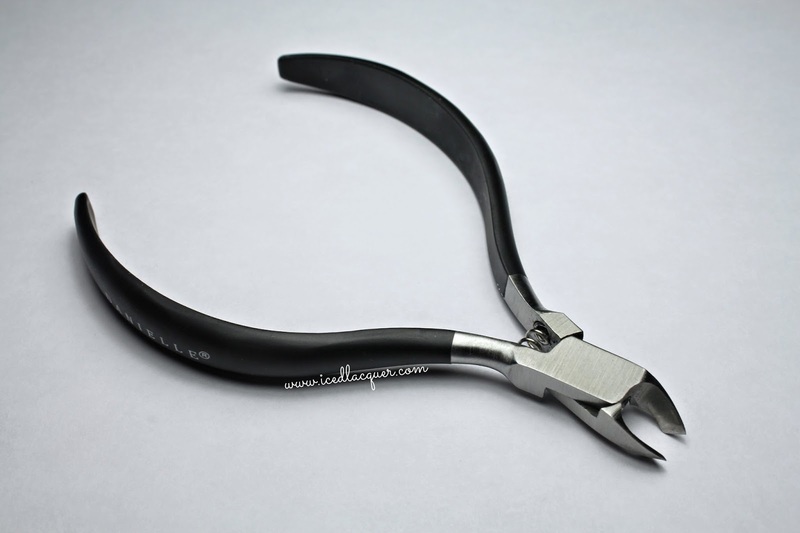 Cuticle Nippers: Instead of picking at hangnails or trying to maneuver fingernail clippers to cut a torn cuticle, I recommend a pair of nippers. 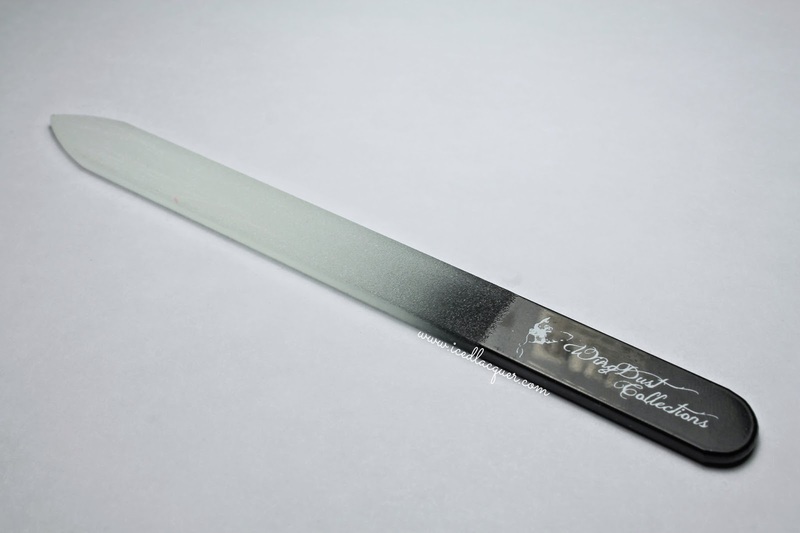 These have a much finer point and smaller blades, which means you can be far more precise with them. Never ever ever peel or rip a hangnail because it can become so much worse! These are by the brand Danielle and I think I got them at the drugstore. Glass Nail File: Cardboard or foam nail files get the job done, but glass nail files are definitely worth the upgrade. From what I've read, glass files are considered better because they retain the grit longer, cause less damage to the nail, and are easier to clean. I've tried a handful of brands, but my current favorite is this custom one from WingDust, which is only $3.99! Hand Cream: The last thing I can think of is a super nourishing hand cream. After trimming, filing, polishing, and conditioning my nails I want something to seal in all that goodness and also treat the rest of my hand so that they look just as nice as my nails. 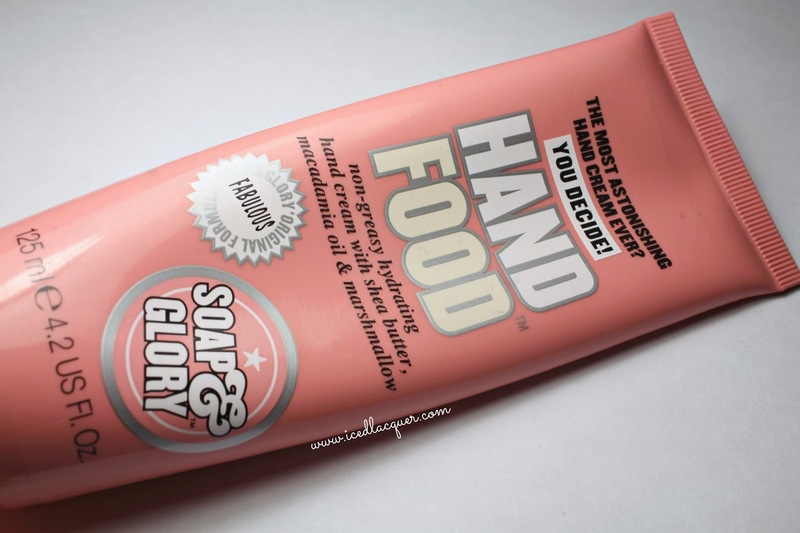 This Soap & Glory Hand Food is one of my favorites, but there are tons out there. You might try a lighter one for during the day and one with a heavier formula for right before bed or just after a shower. So those are all the products that I use to keep my nails healthy and strong! I also wanted to mention that in addition to all these products there are a few "lifestyle" changes I've made to help with the health of my nails. First of all, drink tons of water! Seriously, most people don't get enough. Drinking plenty of water can help your entire body to look and feel more healthy. The next tip is more obscure, but be mindful of your nails in everyday use. It took a little while, but I've definitely shifted my thinking when it comes to my hands. I don't pick at stickers or package wrapping, I try to be mindful when doing things like buttoning jeans or opening a can of soda, and I find myself picking things up by the pads of my fingers rather than with my fingernails. Hopefully you found this post helpful or at least interesting! Do you have a favorite cuticle cream or hand lotion I should try out? What are your tips for growing long nails? This post is amazing. I just recently got into painting my nails and I swear most of the time I have no idea what I am doing. Great tips, thanks!